$118.80 Ships within 24 hours. 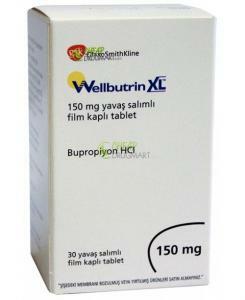 Possible Uses of Wellbutrin: This medicine is an antidepressant used to treat depression. It may also be used to treat other conditions as determined by your doctor. This medicine works to help balance specific natural substances in the brain called neurotransmitters. When out of balance these substances are thought to be associated with the symptoms of depression. Before using Wellbutrin: WARNING: ANTIDEPRESSANT MEDICINES MAY INCREASE THE RISK OF SUICIDAL THOUGHTS AND BEHAVIORS IN CHILDREN AND ADOLESCENTS, AND POSSIBLY ADULTS, WHO HAVE SEVERE DEPRESSION OR CERTAIN OTHER MENTAL OR MOOD DISORDERS. Children, adolescents, and adults who take this medicine should be monitored daily for any worsening of their condition, thoughts of hurting themselves, or any other sudden or unusual changes in mood or behavior, especially during the first few months after starting this medicine and after any change in the dose of this medicine. If any of these serious side effects occur, contact the doctor immediately. Some medicines or medical conditions may interact with this medicine. INFORM YOUR DOCTOR OR PHARMACIST of all prescription and over-the-counter medicine that you are taking. DO NOT TAKE THIS MEDICINE if you are already taking bupropion to stop smoking, taking a monoamine oxidase inhibitor (MAOI), or thioridazine. ADDITIONAL MONITORING OF YOUR DOSE OR CONDITION may be needed if you are taking other antidepressants or psychiatric medicines, certain high blood pressure medicines (e.g.,"beta-blockers"), certain heart medicines (e.g., propafenone, flecainide), decongestants, diabetes medicine, diet pills, levodopa, HIV protease inhibitors (e.g., ritonavir), quinolone antibiotics (e.g., ciprofloxacin, ofloxacin), seizure medicine, theophylline, tranquilizers, tramadol, warfarin, narcotic pain relievers (e.g., acetaminophen with codeine), or products containing nicotine (e.g., patches or gum). Also report the use of drugs which might increase seizure risk (decrease seizure threshold) when combined with bupropion such as phenothiazines (e.g., thioridazine), tricyclic antidepressants (e.g., amitriptyline), isoniazid (INH), or theophylline among others. Consult your pharmacist for details. DO NOT START OR STOP any medicine without doctor or pharmacist approval. Inform your doctor of any other medical conditions including any mental or mood disorders (such as bipolar disorder), kidney disease, liver disease, diabetes, head injury, tumors (e.g., brain or spinal cord), or history of drug or alcohol addiction, allergies, pregnancy, or breast-feeding. 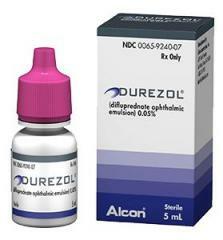 DO NOT USE THIS MEDICINE if you have a history or eating disorders (e.g., anorexia, bulimia). USE OF THIS MEDICINE IS NOT RECOMMENDED if you have suddenly stopped using alcohol or other drugs which you have become dependent on, muscle or nerve conditions, or a history of seizures. Discuss the use of alcohol with your doctor or pharmacist before taking this medicine. Contact your doctor or pharmacist if you have any questions or concerns about using this medicine. How to take Wellbutrin: Follow the directions for using this medicine provided by your doctor. This medicine comes with a medication guide. Read it carefully. Ask your doctor, nurse, or pharmacist any questions that you may have about this medicine. SWALLOW WHOLE. Do not crush or chew before swallowing. THIS MEDICINE MAY BE TAKEN WITH FOOD if it upsets your stomach. STORE THIS MEDICINE in a tightly-closed container at room temperature below 77 degrees F (25 degrees C), away from heat and light. CONTINUE TO TAKE THIS MEDICINE even if you feel better. Do not miss any doses. IF YOU MISS A DOSE OF THIS MEDICINE, take it as soon as possible. If you are taking 2 doses a day and it is less than 8 hours until your next dose, skip the missed dose and go back to your regular dosing schedule. Do not take 2 doses at once. Precautions When Using Wellbutrin: DO NOT TAKE THIS MEDICINE if you have had an allergic reaction to it or are allergic to any ingredient in this product. SEVERAL WEEKS MAY PASS before your condition improves. Continue to use this medicine for the full time recommended by your doctor. Do not stop taking this medicine without talking to your doctor. KEEP ALL DOCTOR AND LABORATORY APPOINTMENTS while you are taking this medicine. ADDITIONAL MONITORING OF YOUR CONDITION is recommended at the start of treatment with this medicine and whenever a change to your dose is made. If you experience anxiety, agitation, panic attacks, difficulty sleeping, irritability, hostility, impulsive feelings, severe restlessness, or worsening of depression contact your doctor as soon as possible. These may be signs that your condition is worsening or that your treatment with this medicine should be evaluated. If you are a parent or caregiver of a patient that is taking this medicine, it is important for you to watch for these symptoms. Contact the doctor as soon as possible if any of these symptoms occur. Contact your doctor for more information. THIS MEDICINE MAY CAUSE DIZZINESS. DO NOT DRIVE, OPERATE MACHINERY, OR DO ANYTHING ELSE THAT COULD BE DANGEROUS until you know how you react to this medicine. Using this medicine alone, with other medicines, or with alcohol may lessen your ability to drive or to perform other potentially dangerous tasks. DO NOT EXCEED THE RECOMMENDED DOSE of bupropion; doing so will increase your risk of having a seizure. Limit or avoid consumption of alcoholic beverages; alcohol can increase your risk of seizures. Chronic alcohol users who suddenly stop the intake of alcohol while taking this medicine may increase the risk of having seizures. BEFORE YOU BEGIN TAKING ANY NEW MEDICINE, either prescription or over-the-counter, check with your doctor or pharmacist. CAUTION IS ADVISED WHEN USING THIS MEDICINE IN CHILDREN OR ADOLESCENT PATIENTS because they may be more sensitive to the effects of the medicine. FOR WOMEN: THIS MEDICINE IS EXCRETED IN BREAST MILK. DO NOT BREAST-FEED while taking this medicine. Side Effects of Wellbutrin: SIDE EFFECTS, that may go away during treatment, include restlessness, dizziness, dry mouth, difficulty sleeping, headache, nausea, vomiting, constipation, change in weight, or tremor. If they continue or are bothersome, check with your doctor. CHECK WITH YOUR DOCTOR AS SOON AS POSSIBLE if you experience palpitations. CONTACT YOUR DOCTOR IMMEDIATELY if you experience seizures, severe nervousness or anxiety, agitation, panic attacks, difficulty sleeping, feelings of irritability or hostility, impulsive behavior or other unusual changes in behavior, severe restlessness, worsening feelings of depression, thoughts of hurting yourself, or any other mental or mood changes. AN ALLERGIC REACTION to this medicine is unlikely, but seek immediate medical attention if it occurs. Symptoms of an allergic reaction include rash, itching, swelling, dizziness, or trouble breathing. If you notice other effects not listed above, contact your doctor, nurse, or pharmacist. Overdose of Wellbutrin: If overdose is suspected, contact your local poison control center or emergency room immediately. Symptoms of overdose may include blurred vision, lightheadedness, hallucinations, seizures, loss of consciousness. Other Information of Wellbutrin: If your symptoms do not improve or if they get worse, contact your doctor. Bupropion tablets may have an unusual smell. This is normal. DO NOT SHARE THIS MEDICINE with others for whom it was not prescribed. DO NOT USE THIS MEDICINE for other health conditions. KEEP THIS MEDICINE out of the reach of children. IF USING THIS MEDICINE FOR AN EXTENDED PERIOD OF TIME, obtain refills before your supply runs out.